This windscreen fits "rugged Intensity Probes". Refer to the information for the Intensity Probe regarding compatibility. The windscreen is mounted by pushing it as far as possible over the microphones and preamplifiers. The windscreen is provided with holes for the microphone preamplifiers. When a microphone is placed in a laminar flow, turbulence is created which in turn results in unwanted pressure variations on the diaphragm. By using a windscreen the pressure variations are moved as far away from the diaphragm as possible. Theoretically this supports a “the-bigger-the-better design”, but in practice it is a compromise between air speed reduction, practical size and self-induced noise. Self-induced noise is wobble-noise which is generated, when the windscreen starts moving around the microphone. 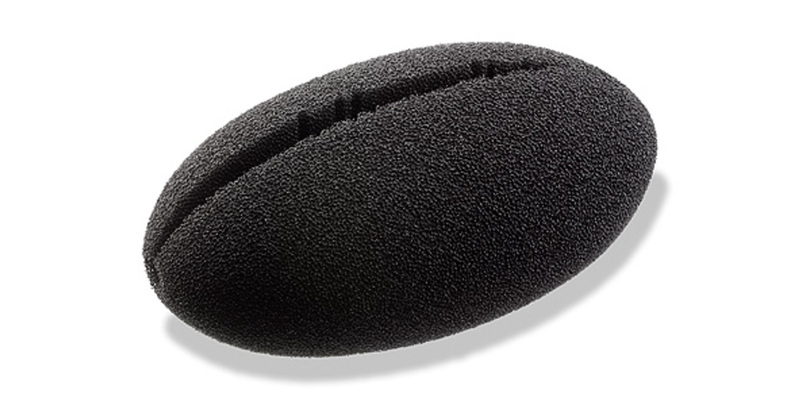 The GRAS windscreens have all a special, open-cell foam structure and the number of pores per inch2 (ppi), are designed to resist a humid environment and at the same time not influence the sound pressure measurement result significantly. The shape of AM0376 is elliptical due to housing the microphones with the longest spacer. Frequency dependent attenuation is to be expected if the windscreen gets wet. Therefore windscreens are not intended as rain protection of the microphone.